Installing NetBeans in Windows is strightforward. You just need to download the installer from NetBeans site and run it. 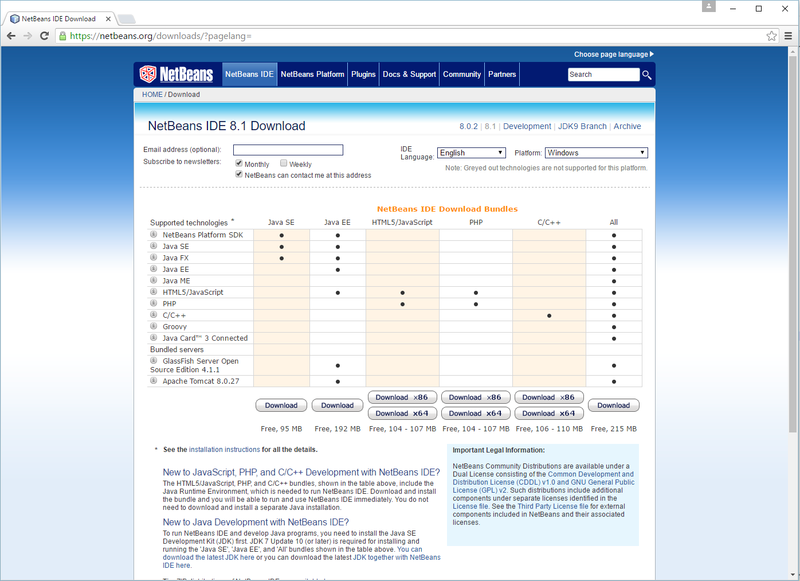 You may encounter several bundles of NetBeans available for download, and you should download the bundle that is intended for PHP development (see the figure A.9 for example).